Their Labrador hip score is hugely important for owners as, of course, Labradors are a breed of dog that are prone to hip problems such as hip dysplasia. This condition can lead to the dog suffering from severe arthritis and becoming lame. 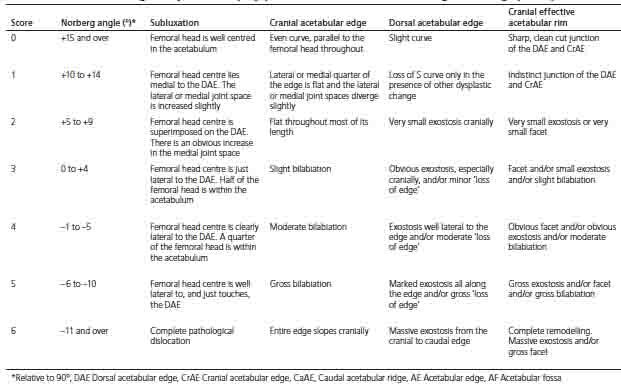 One way to assess the state of health of a Lab's hips is through ‘hip scoring’. Hip scoring is standardized procedure to discover the condition of the dogs joints. Both of the Labs hip joints are X-rayed and using a series of nine criteria each hip joint is rated from a score of zero – no hip dysplasia, - to 53 – in which the condition is very severe. From statistics gained in 2005 for various dog breeds it was found that the average Labrador hip score was 12, which compared favourably with breeds such as the Newfoundland which recorded a score of 21 and the Bull Mastiff which registered at 23. The average score – the Breed Mean Score – or BMS- for all dogs since tests were first carried out is 15, so for a breed associated with hip disease the results for Labradors were surprisingly good. Hip scoring is carried out by various organisations from around the world and is undertaken in the United Kingdom by the British Veterinary Association (BVA). The BVA started their current hip scoring scheme – called the BVA/KC - in 1984 and have carried out over 100,000 X-rays over the past quarter of century in assessing the degree of hip dysplasia in all dog breeds. Under the scheme dogs go though a hip scoring procedure from the age of one and it is carried out only once during their lives. While the Breed Mean Score for Labradors is an important source of information for owners, what would be pertinent is the hip score for the particular Lab they own. This can be quite easily discovered through a local veterinary surgeon. In the UK the vet will X-ray each of the Labradors hips. The X-rays are then sent to the British Veterinary Association. In a standardised procedure the X-rays are considered by experts and the Labrador given a hip score. 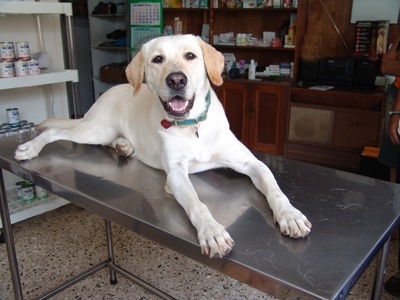 The results are relayed back to the Kennel Club to be included on their database, as well as to the vet and the Labrador's owner. Hip scoring is particularly important to Labrador breeders as well as owners and it enables them to tell if the hip dysplasia condition is genetic and being passed on from generation to generation of a particular bloodline.